Summary: Unlike the old westerns, where villains were wanted “dead or alive,” God wants us both dead and alive. In Baptism, God both slays the sinner and raises up from that death a saint. He takes us to cross and tomb and into the new life of the eternal kingdom. This life, then, is the ongoing conflict of sinner and saint — both of which we remain until the end of time. The Old Adam keeps rousing itself, an animated corpse of decay and death. And through repentance and Absolution, God keeps putting it to death and raising us to life as new creatures. Text: What shall we say then? Are we to continue in sin that grace may abound? By no means! How can we who died to sin still live in it? 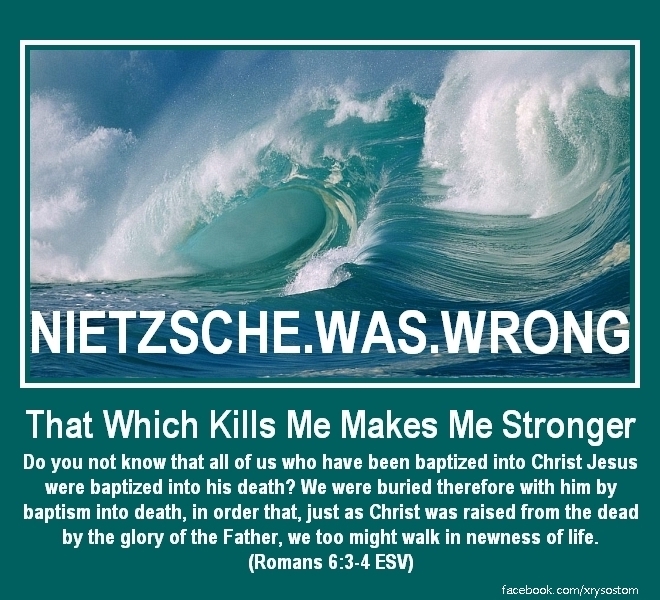 Do you not know that all of us who have been baptized into Christ Jesus were baptized into his death? We know that our old self was crucified with him in order that the body of sin might be brought to nothing, so that we would no longer be enslaved to sin. For one who has died has been set free from sin. Now if we have died with Christ, we believe that we will also live with him. Audio: Click to hear the MP3 of Dead and Alive. Preached to the saints of God at Trinity Lutheran Church, Norborne, Missouri.